Red diesel (gas oil) for use in off-road vehicles/machinery and heating, must be manufactured to BS 2869 Class A2. But did you know that the fuel has seasonal requirements that differ for both summer and winter? First of all, what is red diesel? Also known as 35-second oil, gas oil, tractor diesel and cherry, red diesel is a reduced duty form of diesel that can be used in untaxed off-road vehicles and machinery e.g. 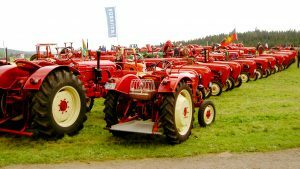 agricultural, industrial and construction machinery. As red diesel is minimally taxed, it cannot be used as automotive diesel in on the road vehicles, so it contains a red dye (hence the name) so Customs and excise can identify incorrect usage. You must never mix red diesel with other petroleum products as it’s strictly prohibited and could contravene HMRC regulations in relation to payment for excise duty. Penalties can include fines or prosecution. These recommendations are valid for diesel fuel and especially for non-road diesel (Marked Gas Oil meeting BS 2869 class A2). They are in place to make you aware of the precautions and to inform you of the potential problems that might occur if you use red diesel without following the seasonal specification. That way, you can get the most out of your engines, maximise productivity and avoid unwanted expenses. It is more resistant to cold (-12°C CFPP min) so it can be used throughout all seasons. When is winter fuel available? The blending of diesel is changed during the winter months to improve the cold weather performance of the fuel. It’s available from 1 November to 15 March, however, to make sure all supplies meet the winter specification by the beginning of November, supplies that are direct from the refinery will meet the winter grade from 16 October – but be sure to check with your supplier. You could use winter grade all year round, but it isn’t cost-effective. When refining crude oil, you get much less winter grade diesel than summer grade diesel, which would result in problems with the availability of the winter grade. What’s more, the energy content of fossil winter grade diesel is lower than that of summer grades. What potential issues might occur when using the incorrect grade of gas oil in winter or during cold periods? The cold and wet winter months see some diesel-powered engines experience operative problems, such as difficulty starting and stopping machinery, and vehicle and equipment failure. When fuel storage or fuel systems have been designed poorly, there’s insufficient thermal protection or summer grade has been left in the tank during winter, wax crystals and condensation can form in the fuel which blocks filters and pipes. Moreover, diesel fuel is refined so that its low-temperature properties fit the area and period to be used. 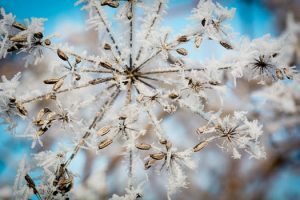 But when seasonal cold snaps of weather emerge and the temperature drops below the cloud point of the fuel, functional difficulties occur due to wax drop out. What is the cloud point? The cloud point reports the temperature at which wax begins to crystallise and become noticeable to the eye. So in simple terms, it’s the lowest temperature at which fuel can be stored. A sample is cooled in a test jar and at intervals of 1°C to see if a haze ring forms at the bottom of the test jar. Although wind does not lower the temperature level itself, it accelerates heat loss and causes more rapid cooling of the fuel contained in an unprotected or exposed storage tank. Water in the fuel and filters and the age and condition of the filters also cause clogging. Ensuring your fuel is protected from bad weather conditions is imperative to avoid fuel contamination. 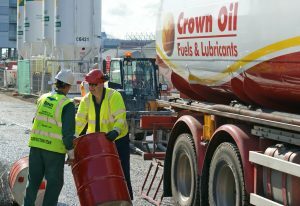 Here at Crown Oil, we have a wide range of environmental services on offer, such as fuel polishing, fuel testing, tank cleaning, fuel uplifting and fuel technical advice and guidance, to help keep your fuel in pristine condition. All diesel fuel contains wax paraffins which are a noteworthy component that give it the high cetane number to enable efficient combustion. Ideally, these paraffins are a liquid and are dissolved in the diesel, but when red diesel gets cold enough, the molecules begin to form crystals and solidify. The same issues will transpire if the incorrect grade of red diesel is used. What are the tell-tale signs of paraffin problems? What are the cold properties of red diesel? The cold flow specification is portrayed by the cold filter plugging point (CFPP) with a specification -12°C max in the winter and -4°C max in summer (British Standard BS2869). CFPP is measured in a lab using the EN 116 standard. The method uses a progressively cool-down procedure, specific pumping conditions and a filter mesh size of 45 microns. It is developed by vehicle manufacturers in conjunction with oil companies and is used to exemplify the resistance to cold for all current European gas oils. The CFPP test reveals reliable correlation to engine performance and is used across Europe for all grades of diesel and red diesel to pinpoint the cold flow property of the fuel and as the specification parameter. Gas oil shall have the following maximum cold filter plugging point (CFPP) temperature in the given seasons. How can you protect your fuel against cold weather operating issues? Summer quality fuels must not be kept in engines as winter embarks. If you have any leftover summer grade fuel and you fill your tank with winter fuel on top, you may deteriorate the cold weather characteristics of the winter grade diesel and likely experience undesirable machinery or equipment failure. Make sure the entire volume of the tank meets the winter spec ahead of the winter period. 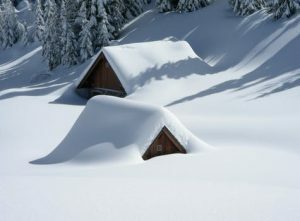 To avoid winter waxing problems, we suggest you plan ahead and change over from summer to winter fuel by at least June. If you have any concerns regarding your red diesel storage, our team of experts are happy to help, so call us today on 0845 313 0845. The problem is, however, that during the production of red diesel, additives are already used to improve cold properties but in an extremely controlled environment at elevated temperatures. This makes it tricky to gauge whether cold flow properties can be improved or not. 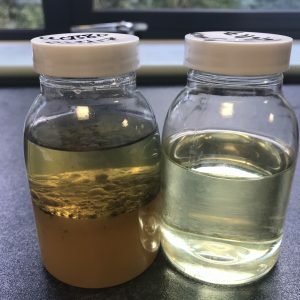 What is Crown Oil doing to minimise winter red diesel problems? Crown Oil supplies red diesel that is suited for the season by varying the cloud point depending on the season and location. Purchasing your red diesel from the most trusted supplier in the UK gives you peace of mind that you are guaranteed a product that will never let you down. With nationwide coverage and quantities available in 205-litre barrels right up to 36,000 litres and more, we provide same day and next day deliveries for when you need us the most. If you have any queries regarding the correct grade of red diesel (gas oil) this winter, please get in touch on 0845 313 0845 to avoid encountering any operational problems this winter.